In loving memory of Ernest Rodriguez Sr., Beloved brother, father, grandfather, great grandfather, hero to our family and country. 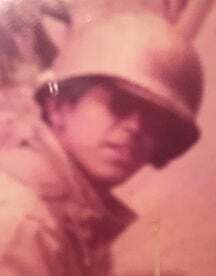 Ernest Rodriguez Sr., 67 yrs. old, of Bay City TX left this world to be with our Lord and family, gone before us, Friday. March 15, 2019 at 8:02 p.m. surrounded by his family and friends. Ernest is preceded in death by his parents, Mr. Porfirio Rodriguez Sr. and Gloria Rodriguez; siblings, Luis Rodriguez Sr., Jessie Rodriguez Sr., and Ricky Rodriguez. Surviving siblings and immediate family include siblings, Porfirio Rodriguez Jr. (Frances) of San Jose, California, Angel Rodriguez Sr. of Lake Jackson, TX., Mary Jane R. Pulido (Arnold) of Austin TX., Ruben Rodriguez (Shirley) of La Grange TX., Helen R. Ramirez (Frank) Alvin TX., and Esther R. Alvarado of Bay City, TX. ; daughters, Melissa Sedillo of Bay City TX, and Elizabeth Rodriguez (Juge) of Wharton TX. ; sons, Rene Sedillo and Ernest Rodriguez Jr. Ernest was blessed with many grandchildren,; great grandchildren; and nephews and nieces, whom he loved very much. A memorial and celebration of his life will be held at VFW Post 2438 , 1672 TX-60 , Bay City TX 77414 on Saturday April 6, 2019 from 2 p.m. to 6 p.m.